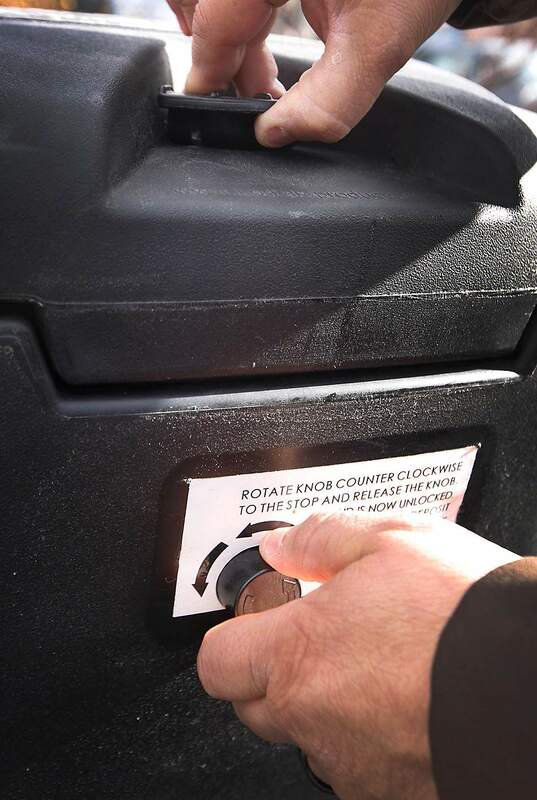 Joey Medina, recycling and trash manager for the city of Durango, checks to make sure the auto close-and-lock lid works on one of the new automated wildlife-resistant trash containers. A study by a group of Fort Lewis College students found most people who have bear-resistant containers don’t use them properly or don’t lock them. People in Durango are not locking their bear-resistant trash cans, rekindling calls for the city of Durango to up its enforcement. At least that’s the takeaway message from a new study conducted by a group of Fort Lewis College students. Last fall, the students went out in downtown Durango on Tuesday nights – the night before trash pickup – to find out how many residents and commercial businesses were using and locking their bear-resistant trash containers properly. Only 40 percent of trash cans surveyed in residential areas were locked properly, in an area known as the “grid” from East Second Avenue to East Ninth Avenue, and First Street to 12th Street. The students made multiple visits to the area, tracking the trash cans each time. The resulting study finds 1,824 instances of trash cans being shut or not. Even homes with automatic-locking trash containers, about half, were not closed properly. “If we could lift the lid enough to stick an arm into the can or dumpster, we marked the container as being non-compliant,” the study says. A 300-gallon trash container accessed by a bear in downtown Durango. A Fort Lewis College study found residents are not locking their containers. Only about 30 percent of businesses with bear-resistant trashcans had the bins properly locked. 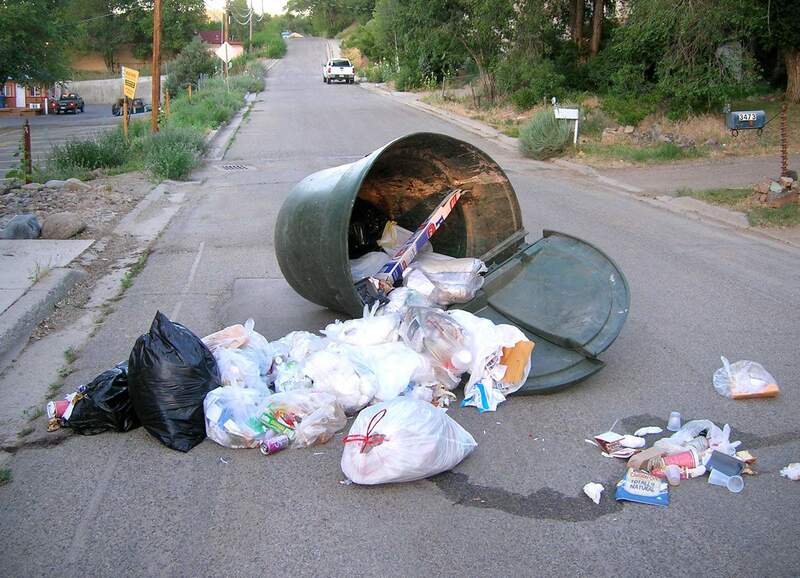 Worse, the study found that most businesses didn’t even have dumpsters that were made to keep bears out. The study was led by students Nicole Cookson, Scott Dimmit and Carl Schnitker, with the direction of visiting environmental studies instructor Kaitlin Fischer. Fort Lewis College students surveyed homes and businesses this fall, finding most don’t properly lock bear-resistant containers. The study reiterates a similar conclusion Colorado Parks and Wildlife came to in 2016: Even when supplied with trash-proof containers, people in Durango don’t take the time to lock them properly. One of the main driving forces in human-bear conflicts is allowing bears to easily access food in town, especially those left out in the open, like garbage. 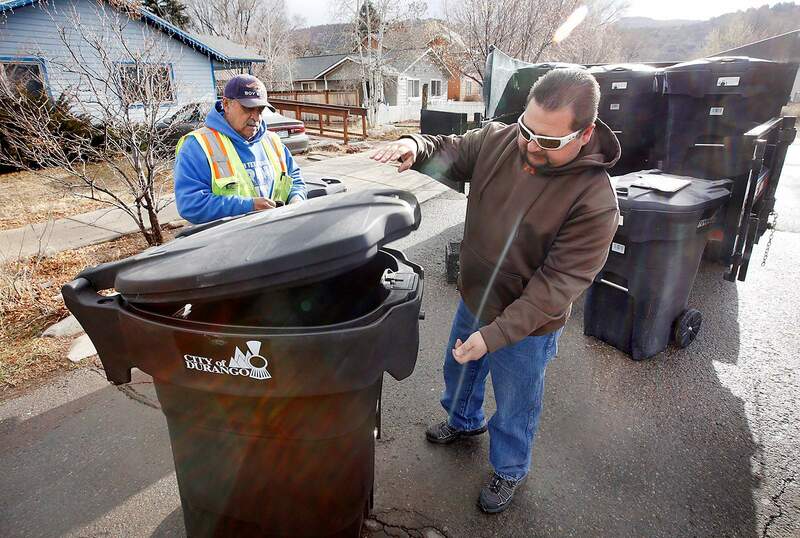 To curb the issue, more than 1,000 bear-resistant garbage cans were delivered to Durango homes between 2011 and 2016. In 2018, another 600 bear-resistant cans were delivered on the south end of downtown Durango. This year, another 600 cans are expected to be delivered in the Crestview neighborhood. But “bear-resistant trash cans are only a tool ..., and they’ll only be effective as long as they’re used properly,” said Bryan Peterson, director of Bear Smart Durango. 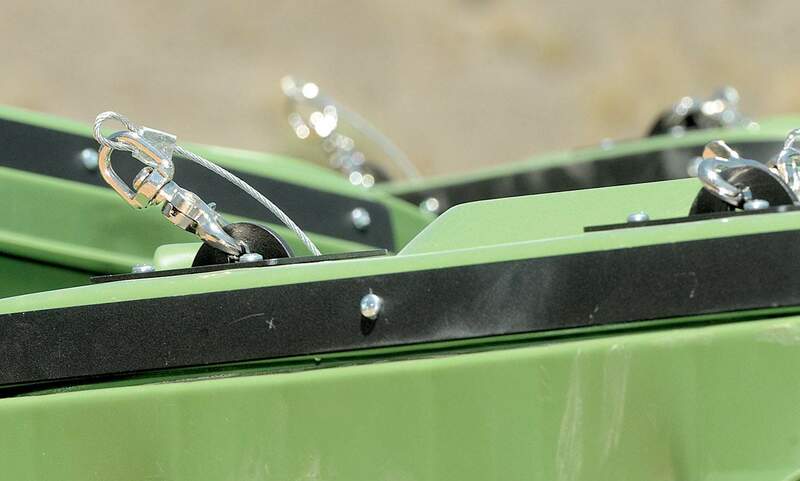 Dale Cogswell, the solid waste recycle manager for Durango, said the bear-resistant containers have latches, a metal band around the rim, and metal bracing to make it harder for bears to get into them. Peterson said to kick people into gear, the city of Durango needs to step up its enforcement. Currently, a resident in Durango is fined only if a bear gets into a trash can. Peterson said this is a reactive approach. A proactive approach would have enforcement officers fine people for unlocked trash cans before a bear is able to break into it. He used Aspen and Boulder as examples of communities where a proactive enforcement approach led to positive results in human-bear conflicts. The FLC study, too, suggested increased enforcement. It was a great natural food year for bears, which typically means much lower human-bear conflicts in town, so the data this year may be skewed. This year, the city issued only a handful of $100 citations to residents for failing to lock their cans, the city’s code enforcement officer, Steve Barkley, said in a previous interview. Barkley did not return calls seeking comment Thursday. Durango Mayor Sweetie Marbury said the city’s approach to human-bear conflicts is working. Marbury rejects criticisms that the city hasn’t been proactive. She said city councilors have removed an initial warning, raised fines and deployed bear resistant cans all over town. It is possible, too, that people were lulled into complacency this year as bears mostly stayed out of town and kept to forests where food was aplenty. But that’s no reason to slack off in making progress on the issue, Peterson said.